A layer of 85-15 Zinc-Aluminum alloy, with a surface weight of at least 400g per sq. m, applied by spraying molten metal with an electric arc gun, using ZnAl alloy wire. A semi-permeable protective layer of blue epoxy paint, with an average thickness of 80 microns, applied with a spray gun. Restoration of continuity of the protective layer at any points that have suffered limited damage (impacts during transport, scraping during backfilling). The biphasic combination of Aluminum and Zinc in the ZnAl alloy enhances the strength of the generalized protective layer. 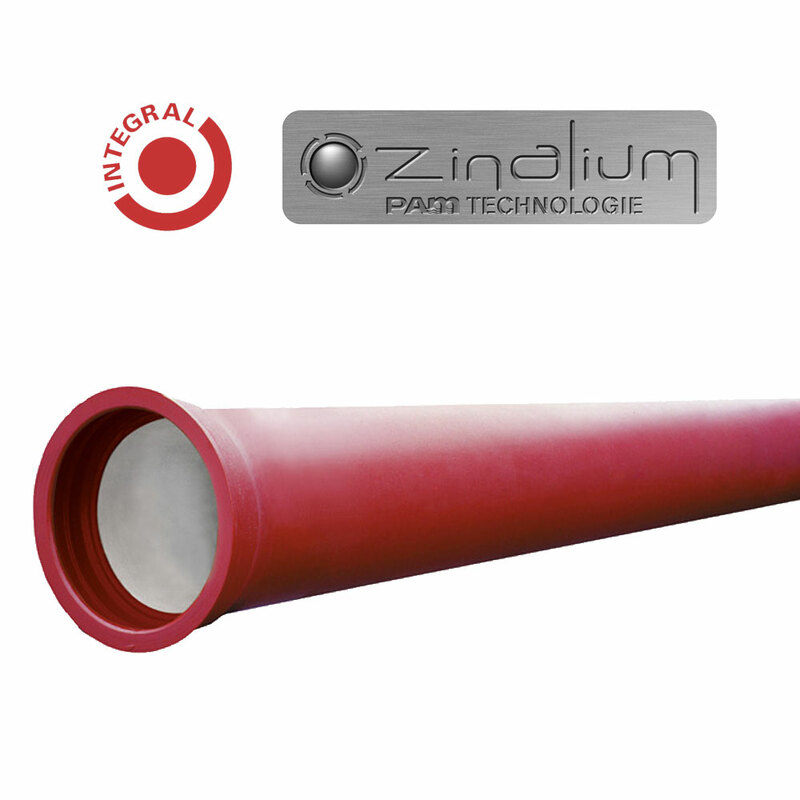 As compared with a pure zinc coating, it extends the field of use (or the service life) in highly corrosive soils as defined in European standard EN545:2010.